Amason Kingi and Steward Madzayo celebrate after they retained the top Kilifi county seats to ODM. - Bana Kenya News, Real African Network Tubanane. 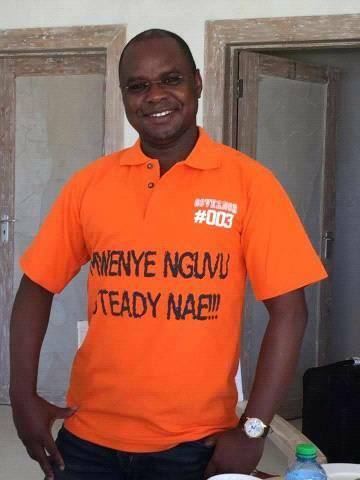 Home featured News Amason Kingi and Steward Madzayo celebrate after they retained the top Kilifi county seats to ODM. Amason Kingi and Steward Madzayo celebrate after they retained the top Kilifi county seats to ODM. Kilifi Governor Amason Kingi supporters are in triumphant mode following the big margin win against the Jubilee Aspirant Gideon Mung'aro. The Jubilee supporters have gone to hide following the results streaming live at the county hall in Kilifi. Gideon Maitha Mung'aro as of 9.am on 9th August had 43,216 votes(17%), Samuel Kambi garnered 37,001 (13%) and ODM and incumbent Amason Kingi retained his by 161 740 votes (66,90%). The senatorial position was also a very tough race between the incumbent and the Jubilee aspirant Kennedy Nyale. The race was expected to be a very small margin but it comes out clearly that Kilifi did not like Jubilee at all. Kennedy Nyale from Jubilee garnered 50,420 votes (19,47%), the Kadu asili aspirant Lucas Maitha pocketed 31 931 votes (12,33%) while the Incumbent Steward Madzayo garnered 165,683 votes (63,97%). The Majority of the MCA seats in Kilifi went to NASA and KADU asili. The MPS seats also went to NASA as the Majority specifically ODM.